If you think you need a lunch break, you shouldn’t be a cowboy. If you think all the bad horses have already been ridden, you shouldn’t be a cowboy. If you think 50 miles of dirt road followed by 107 miles of pavement is too far to (ask your wife to) drive for groceries, you shouldn’t be a cowboy. If you think you have too much silver on your saddle, you shouldn’t be a cowboy. If you think you need a week-long paid vacation each year, you shouldn’t be a cowboy…anywhere except Maggie Creek. Those guys have it MADE! If you think you have too many bridle outfits, you shouldn’t be a cowboy. If you think gun fights in dirt road towns died with Wyatt Earp, you shouldn’t be a cowboy. If you think cell phone service is a necessity, you shouldn’t be a cowboy. If you think you’re too good to drive a water truck, you shouldn’t be a cowboy. If you think horses should be tied to the fence while you sort cattle afootback, you shouldn’t be a cowboy. If you think horses don’t deserve a scoop of oats while you saddle in the morning, you shouldn’t be a cowboy. If you think some guys rope too much, you shouldn’t be a cowboy. If you think this doesn’t look like a good start to your work day, you shouldn’t be a cowboy. Thanks for reading. Check out the Nevada Rancher magazine on Facebook! Ha! Love this. Eating lunch right now at 2pm! After feeding cows, getting 2 limpers in. Checking heifers, home to eat. Back out to haul hay. Etc. etc! Wonder how many people who read this are trying to figure out what the TS is? My Grand father owned the ORO, VVV and OX ranchs back in the 40s. Ben Rudnick. 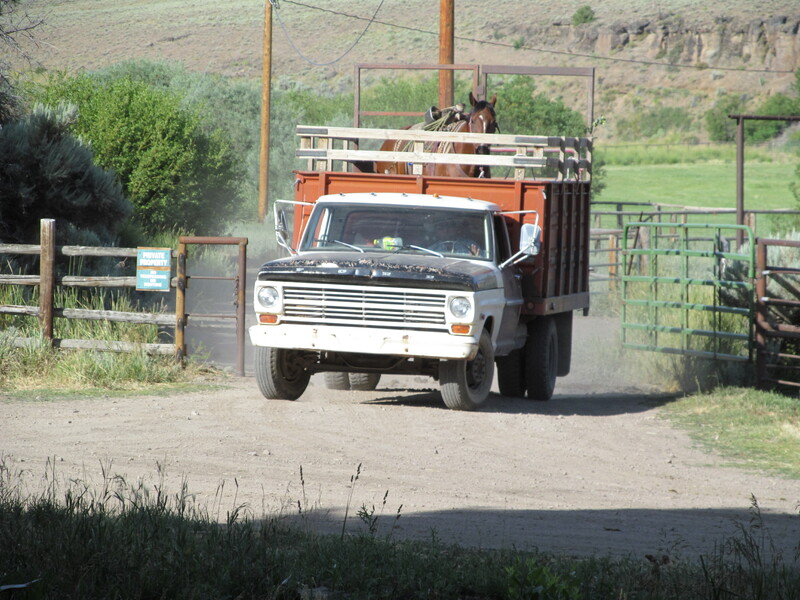 My father, Marcus Rudnick worked these ranches for the short time my Grandfather owned them..